As far as runners go, Tron Run/r might have it all. In a genre that many scoff at for its general simplicity, this package is hardly stripped-down. In fact, there's no denying that it has significant heft. Before long, it's questionable as to whether that's more of a detriment than anything else. "Bloat" is the word that kept coming to mind as I maneuvered my way through Tron Run/r's several courses. 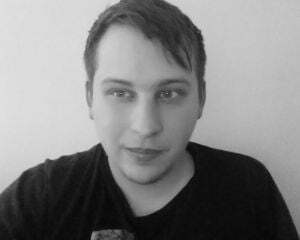 With regard to game mechanics, there's a subtle but important difference between depth and bloat. Every time a handful of systems would come together in a gratifying way, another scenario would arise with the paper-thin intention of variation for variation's sake. Back and forth it'd go, from being good to being too much. That's a shame because the core of Tron Run/r is actually really satisfying. 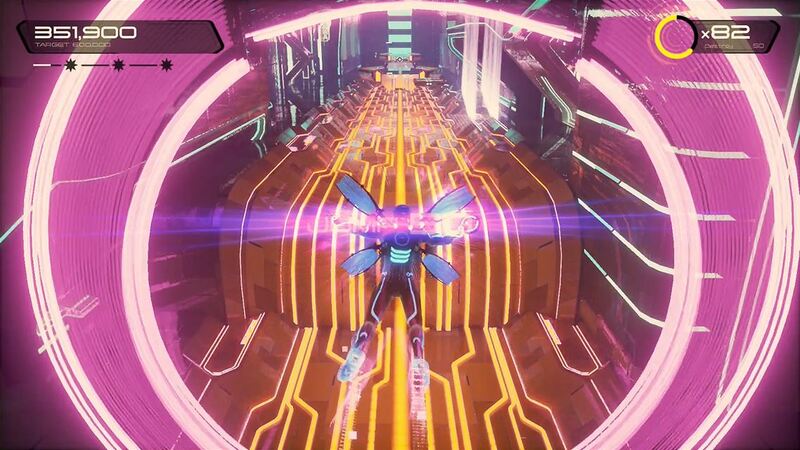 Movement and platforming feel great, and the trademark Tron aesthetic is vibrant and lively. It can be competent, challenging, and enjoyable -- about the most you could ask of a game like this. On the surface, Tron Run/r is about surviving and collecting bits along the way. Perfect play is rewarded with an ever-increasing combo, eventually culminating in a higher score. Scores are really the entire objective, and those bits can be used to purchase power-ups that (in theory) lead to higher point totals. Arriving to that end is more complicated. Here's a list of some of the mechanics every player will find themselves performing: Jumping over gaps, sliding under obstacles, hard dashing to the side, grinding on rails, running on walls, breaking through barriers, shooting down enemies, gliding through the air, and materializing platforms. Honestly, I probably omitted a few others. It's a lot. When the level design is good (usually meaning that it's restrained) Tron Run/r has a rhythmic quality about it. There's a connection between the player and the game, a groove to settle into. It becomes entrancing. But, then the bloat sets in again. Suddenly, the game tries too hard and suffers horribly for it. It's not even that these parts are necessarily too difficult. It's that they're so busy and overloaded that Tron Run/r no longer flows the same way. That groove is snapped, that trance is broken. Nowhere is it more evident that Tron Run/r is committed to the idea of "more" than in the game's light cycle mode. A second set of levels is dedicated to the franchise's iconic bike wherein the player must reach a course's end before time runs out. Traveling through gates adds a few seconds to the countdown. This half of the game feels barren and tacked-on. The light cycles don't necessarily control well (although, they aren't quite sloppy either), the environments are surprisingly dull, and it just isn't good. It's extraneous and only fits by virtue of the franchise at-hand. Under all of this is the framework of a great runner. There are times when it's pleasing in almost every conceivable way. But, the unnecessary is too much to ignore; it bogs it down into the waters of mediocrity. The cliché fits perfectly here: More isn't always better.